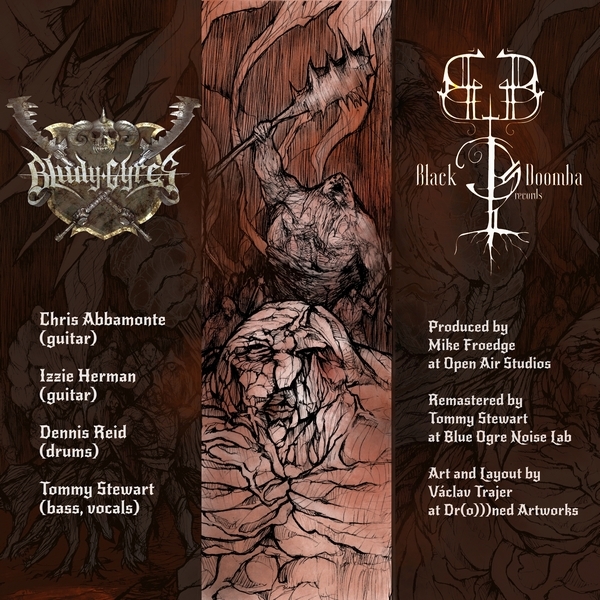 Direct links to some great music with my artwork on the cover – enjoy! 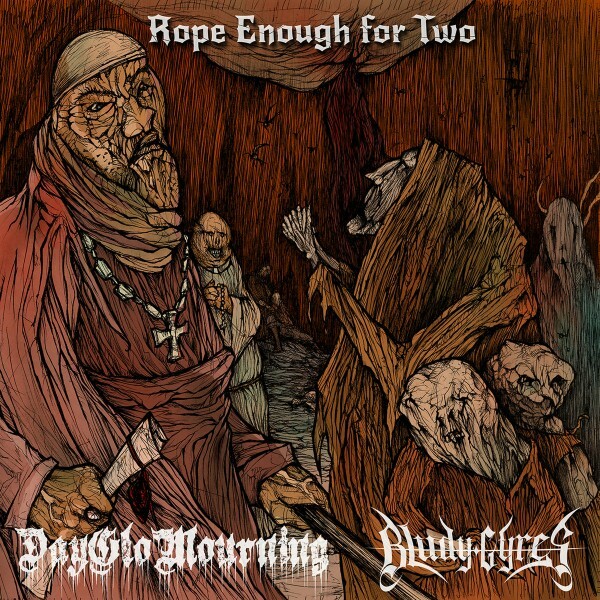 "Bludy Gyres / DayGlo Mourning – Rope Enough For Two"
Split LP from two awesome doom bands. Give it a try on the Bandcamp to see that this is DOOOM AF and you need to have it in your LP collection. 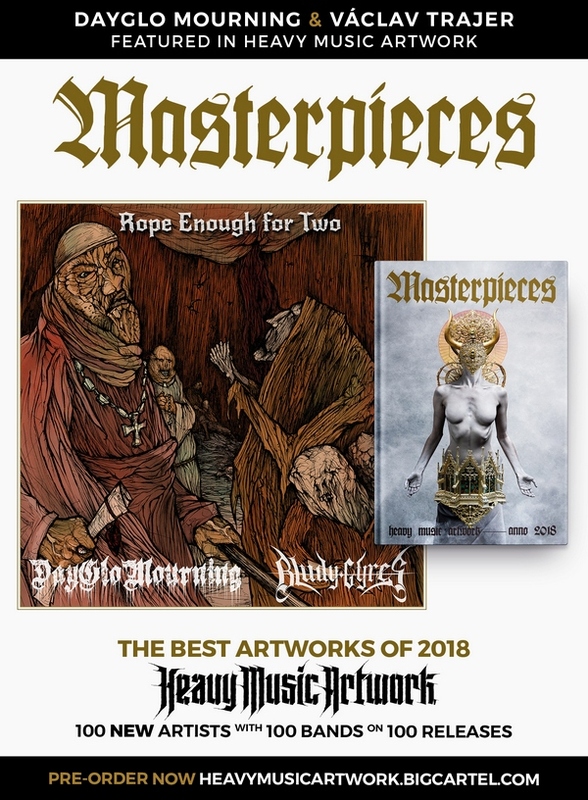 My collaboration with these awesome bands has another nice aspect – the cover was chosen one of the 100 best heavy music artworks of 2018 by Heavy Music Artwork web and will be part of the Masterpieces 2018 printed publication. If you like to purchase it (or anything other from the http://heavymusicartwork.com/), use code ALL15METAL for 15% discount. "Bludy Gyres – Behold! 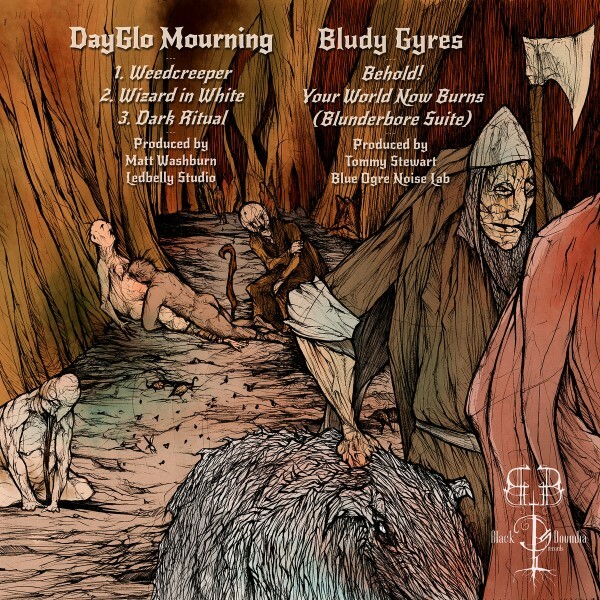 Your World Now Burns"
One 18 mins long mammoth of an epic doom track in the vein of good-old Black Sabbath with touches of psychedelia and prog. Dark and gloomy in atmosphere and production, yet very colorfull in terms of song structure, riffing and singing, from Atlanta, Georgia. I had the honor to do album graphic layout of this piece as well. Behold! Your world Now Burns!!! 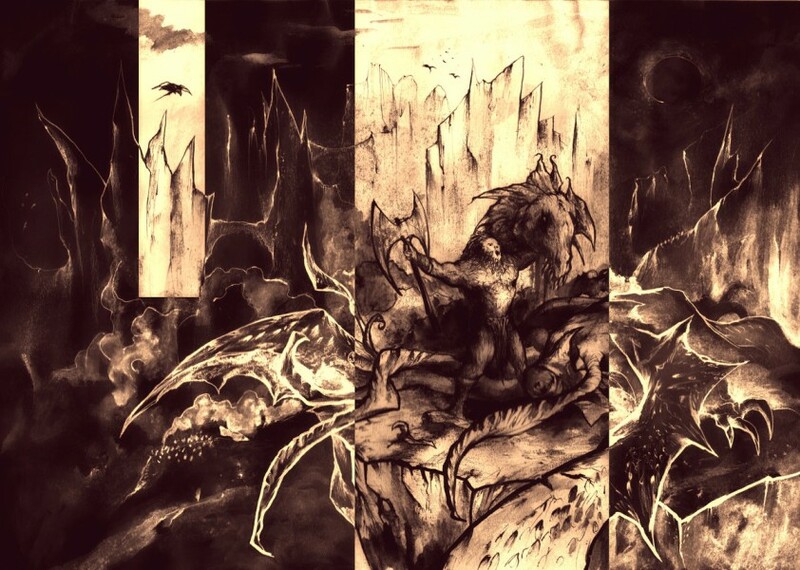 "Plague mask – The Frailty Of Human Existence"
Very original, medieval atmospheric sludge form Syracuse, New York, for which I did also the band logo. 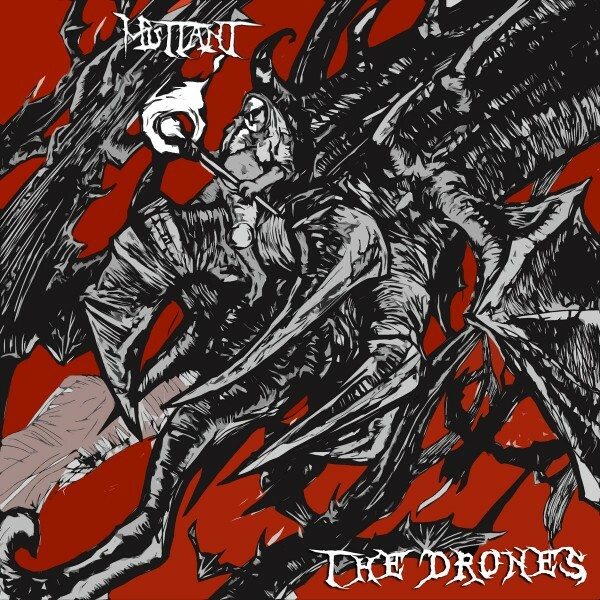 "Muttant – In the Land of Dark Mounatins"
Barbarian lo-fi doom noise drum and bass madness from fearless experimantators Muttant. 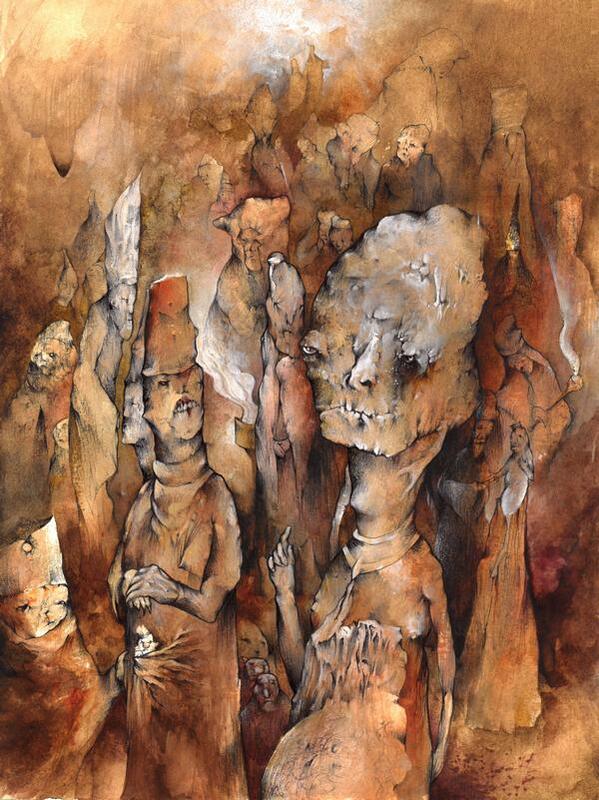 Recommended only for deep underground drone maniacs. Desert-stoner duo in which I played guitar.